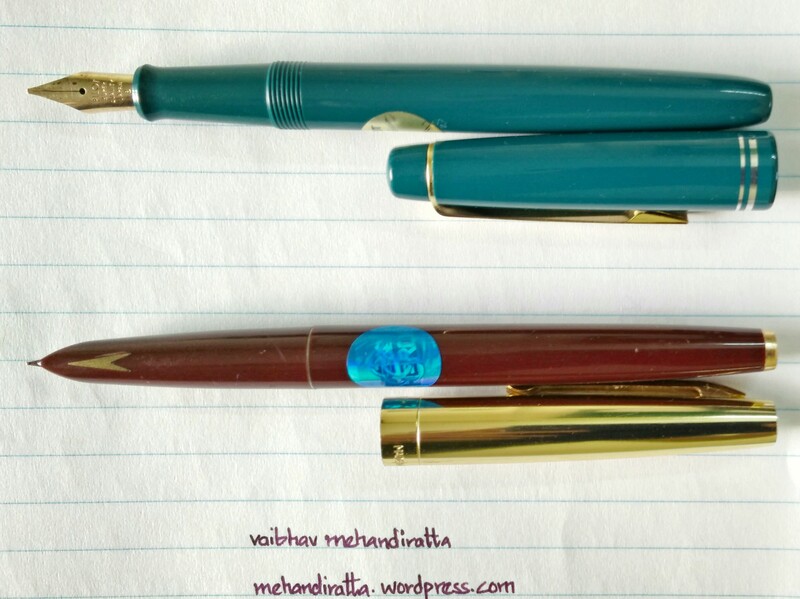 Over the period of past 4-5 months i have started collecting Chinese Fountain pens which i will be reviewing one by one. 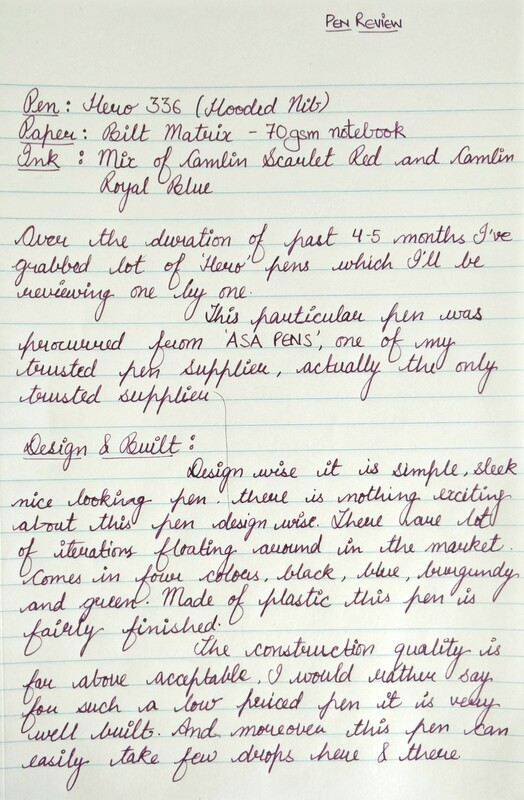 This review is about the pen which was recommended to me by Mr. Subramaniam of ASA Pens after i have collected lot of Chinese Fountain Pens from local market of Old Delhi (Nai Sadak & Sadar Bazaar). And I am surely not disappointed at all. Lets see what are the goods and not so goods about this HERO 336. 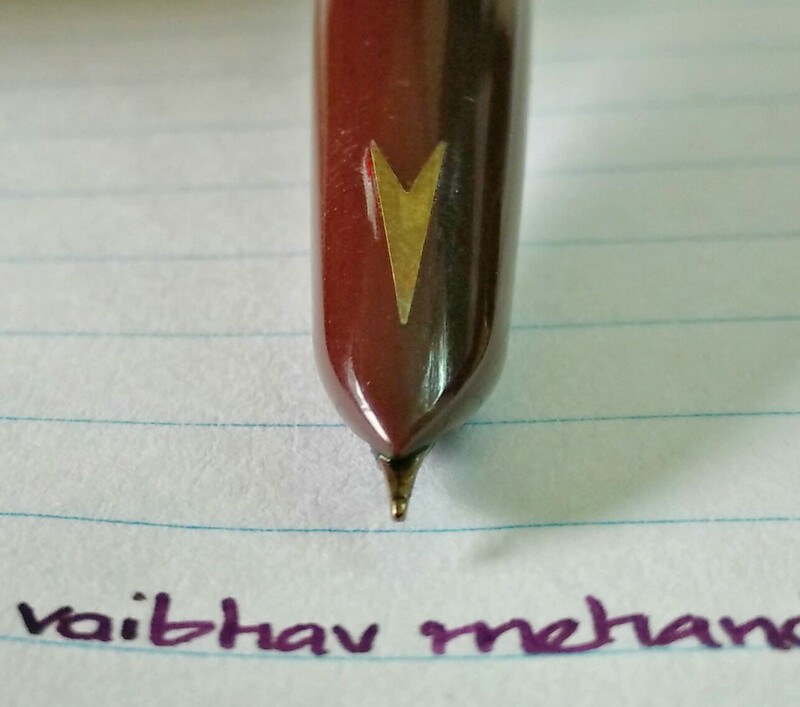 As far as design is concerned it is a decent, simple, sleek looking pen and you surely might see lot of iterations of the same in the market, thus there is nothing exciting about this pen. As far as i know it comes in four colors, black, navy blue, dark green & burgundy. It is made of plastic which is fairly finished. The cap is of yellow gold plated colored aluminum and the gold color of the clip is somewhat different from gold color of the cap. The clip is quite springy but yes it gives a bit screechy noise and feels a bit flimsy which in actual is not. The Clip has “Hero” engraved on it and the bottom of the cap i.e. center band displays the model no. and made in china marking. Also there is gold color metal part screwed at the bottom of barrel, which is purely aesthetic. The construction quality is far above acceptable for such a low priced pen, actually it is well built for general everyday rough tough use. It easily takes few drops here and there. 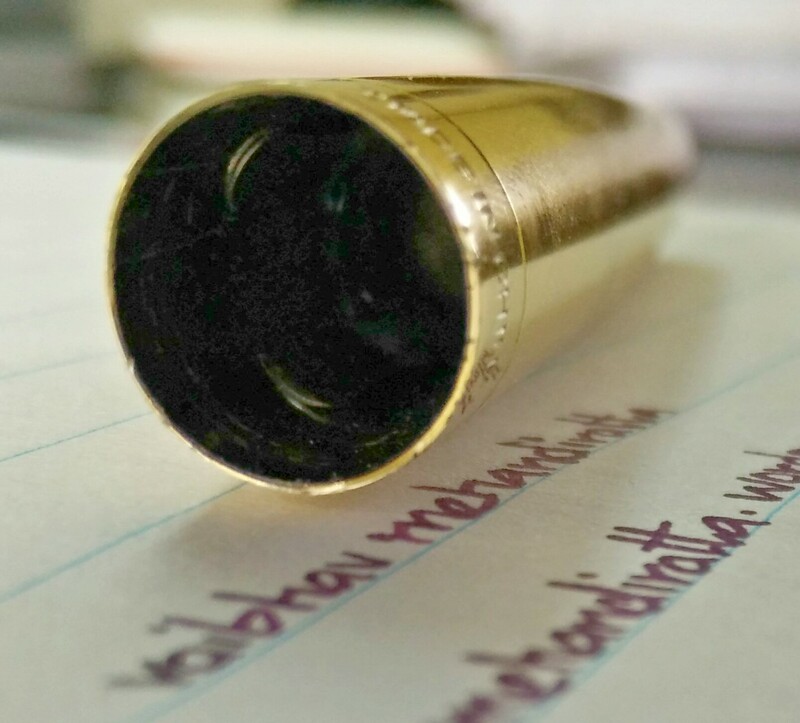 The inside of cap has metal springy clips which actually tightens the grip around the section when pen cap is closed and it works pretty fine. 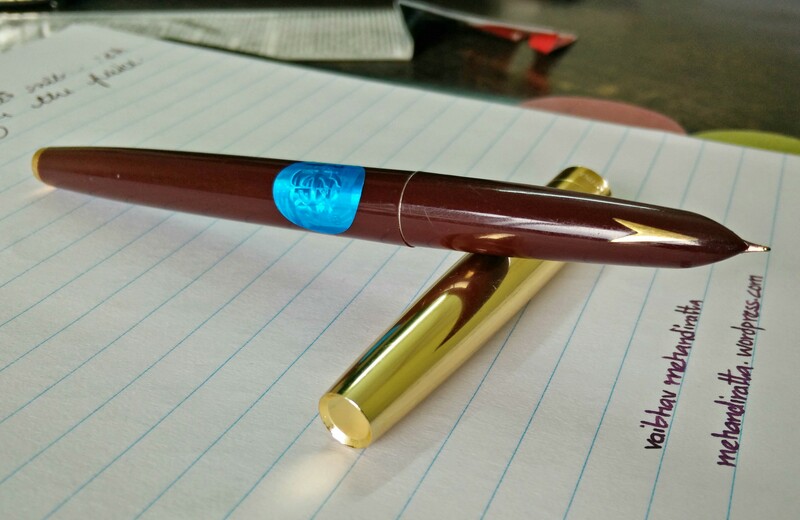 The grip section has again a gold trim metal insert which i believe really complements the pen very well though the gold color in my pen has started to fade away, but still it looks good. 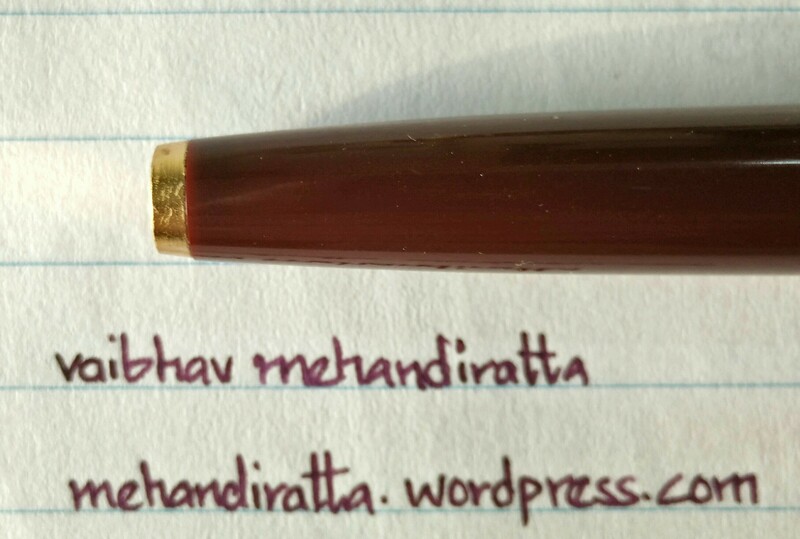 This pen is extremely well balanced when writing with the cap posted as the cap provides certain heft to otherwise lightweight pen. 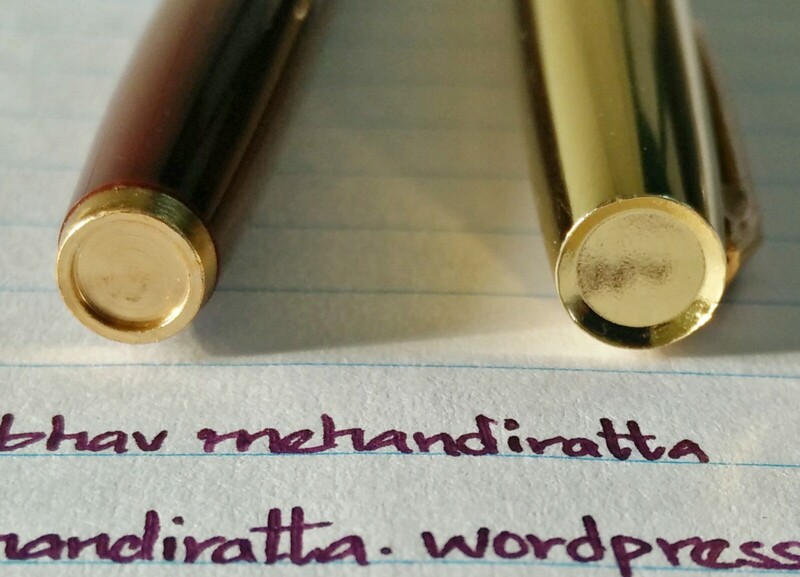 The pen is 14 cm when capped and 12.2 cm when uncapped. 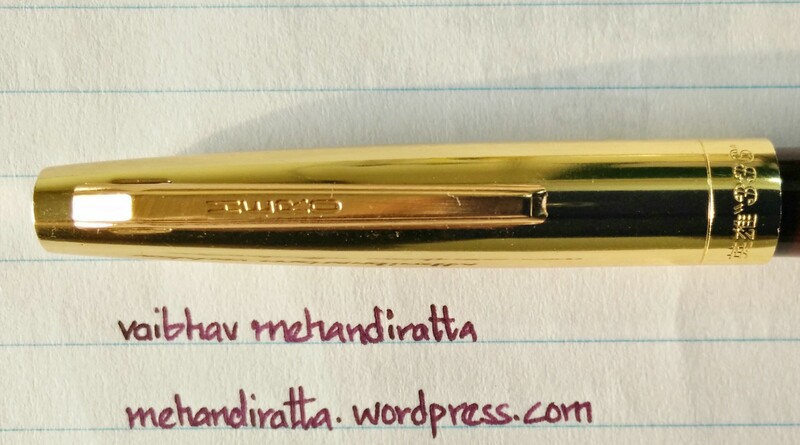 One of the very few pens with which i prefer writing with cap posted at back. Oh hell yes it is so super buttery smooth like my friend Anup Mukherjee says in his review. 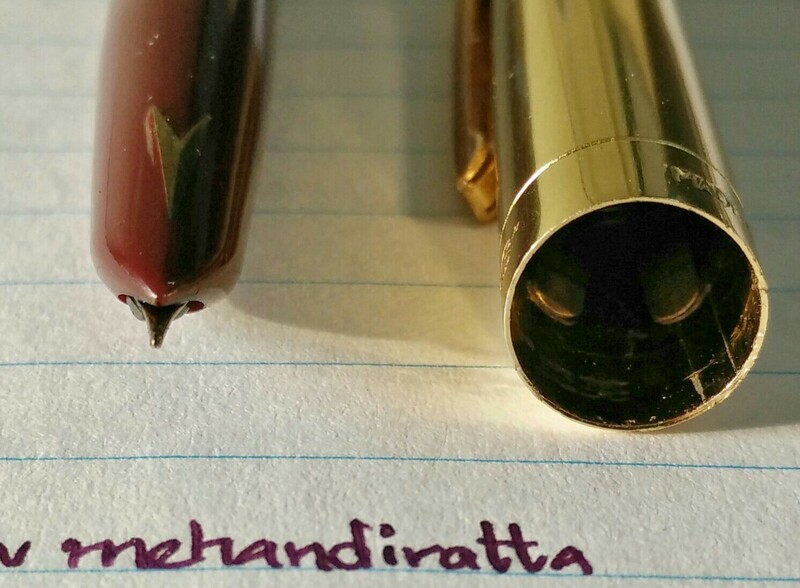 It is a hooded nib pen and writes actually glides western fine and never ever skips. 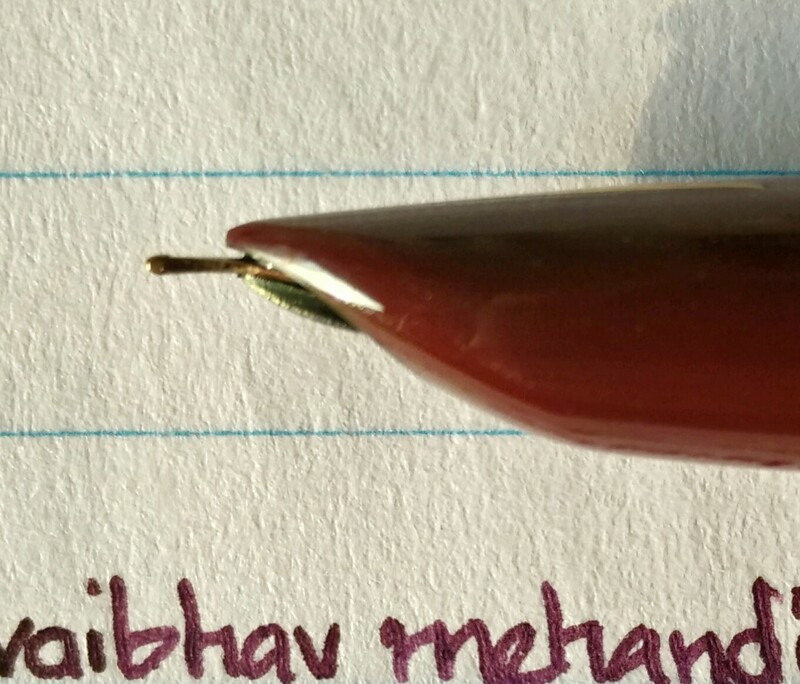 The nib is gold monotone fine nib. 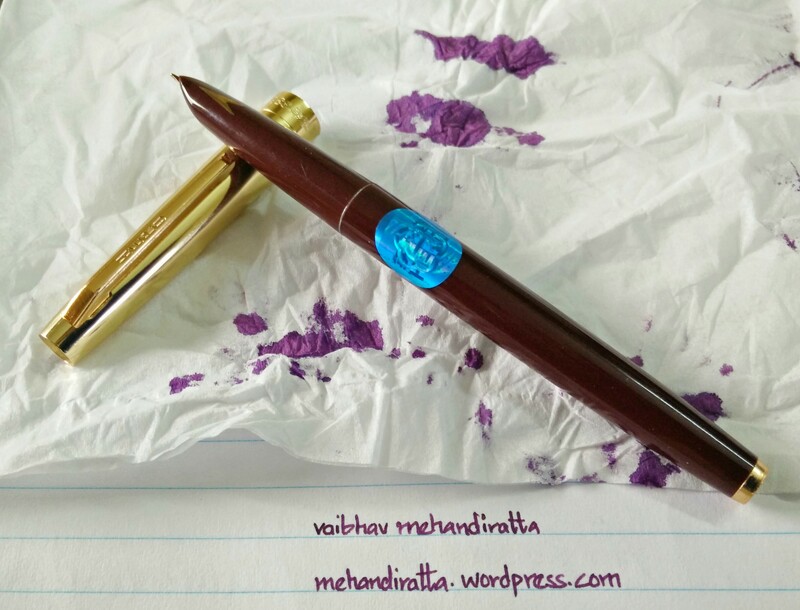 Love the flow of the ink its neither too dry or wet, just apt flow. 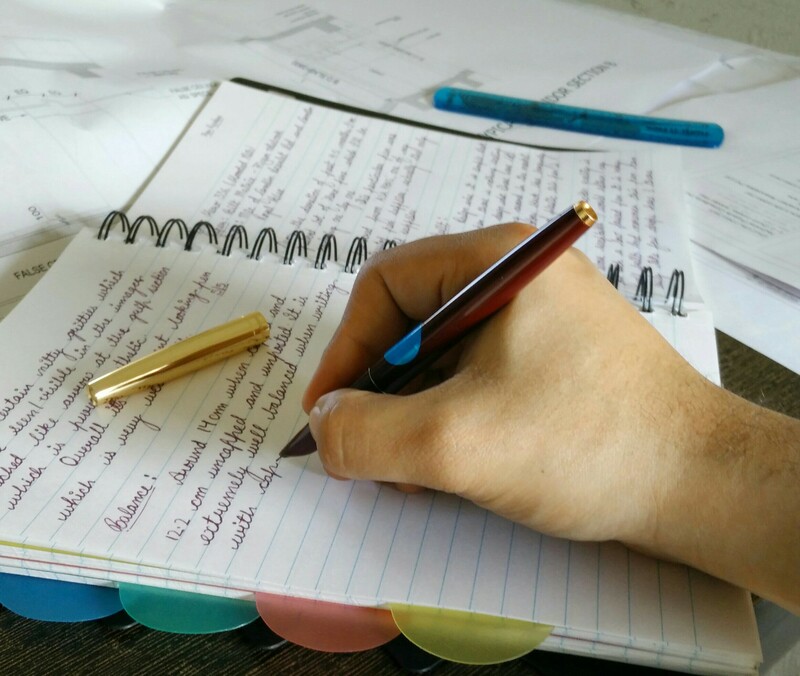 It glides over the good paper (above 70 gsm) and writes fairly well on rough/bad papers also. The feed is made of plastic. 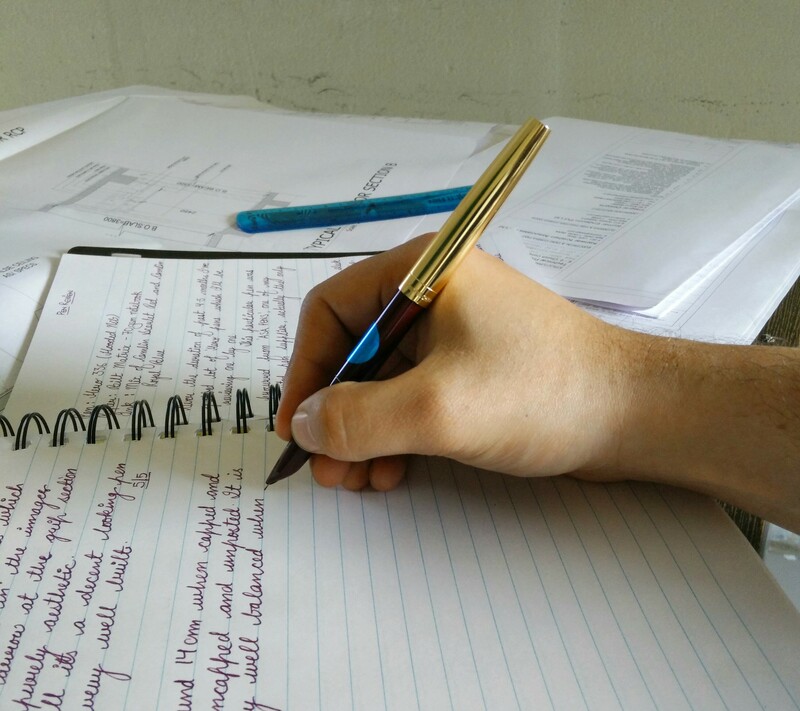 No problems as far as writing with this pen. 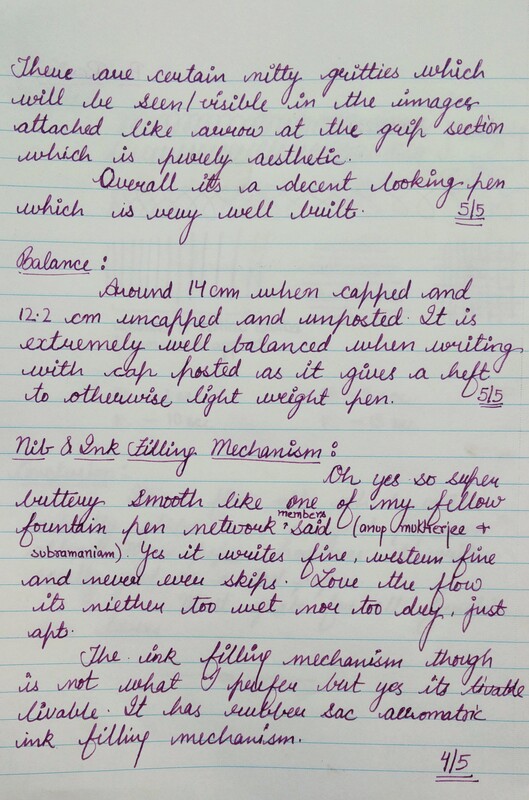 The ink filling mechanism is not as per my liking, it has a rubber sac and aerometric ink filling mechanism. 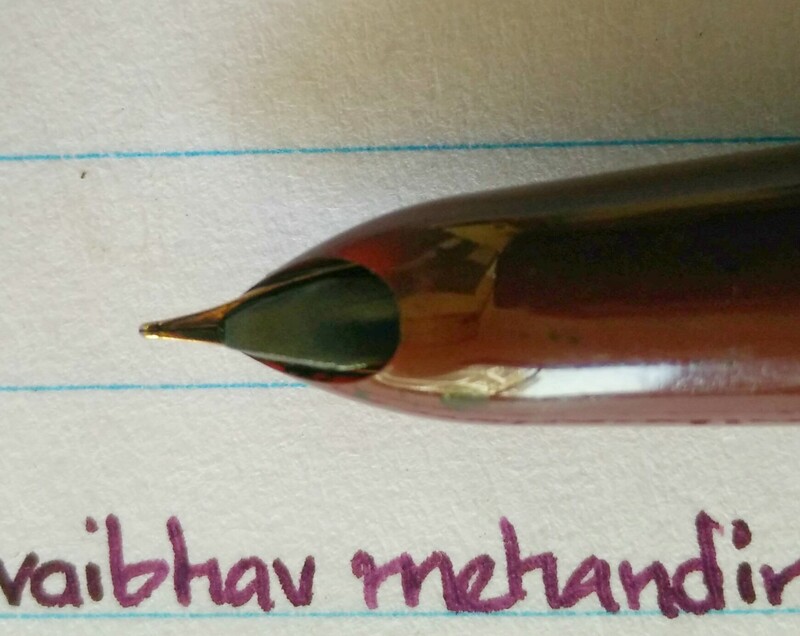 moreover rubber sac is glued to the pen. 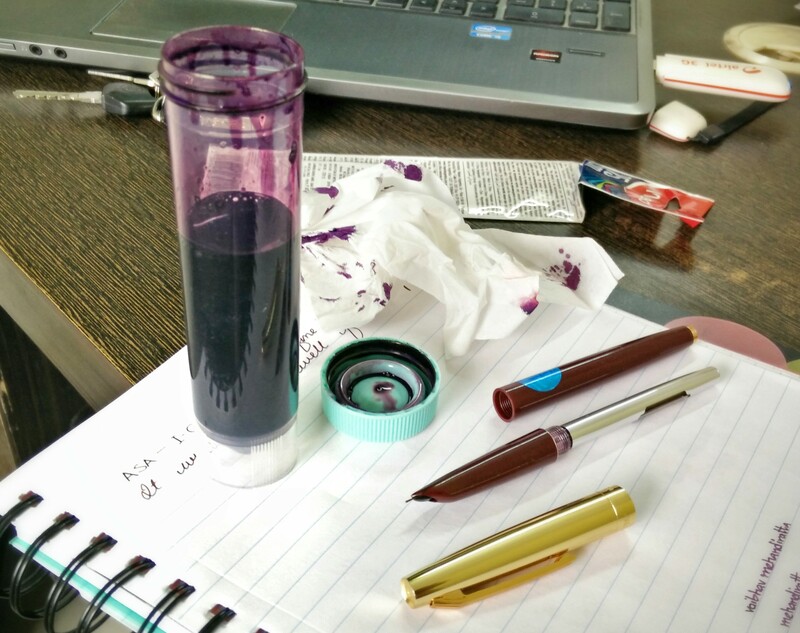 This is the only drawback in this pen. 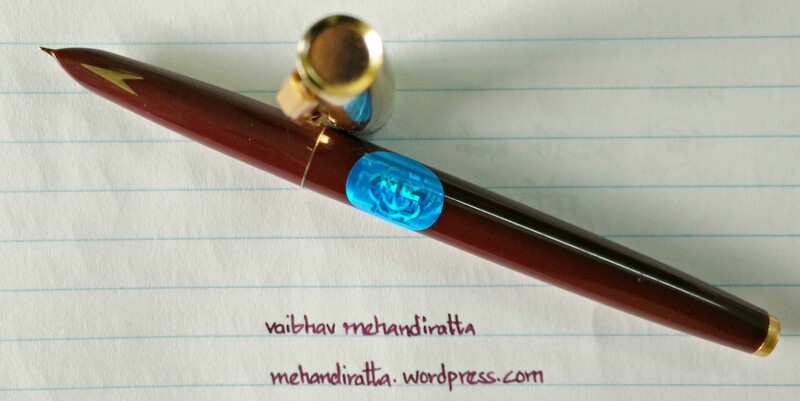 One must try this pen… i can guarantee you wont be disappointed. Rate varies in the market from Rs. 50 – Rs. 300 ( US $ 1 – US $ 5 ). 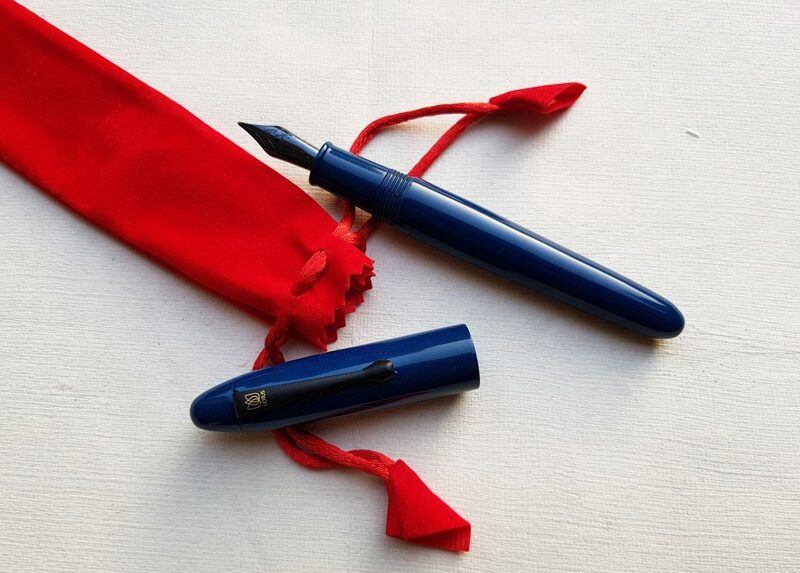 Mr. Mehndiratta, Can you please let me know the name and address of the dealer Hero Fountain Pens at Nai Sadak/Sadar Bazar in Delhi. Thanks. 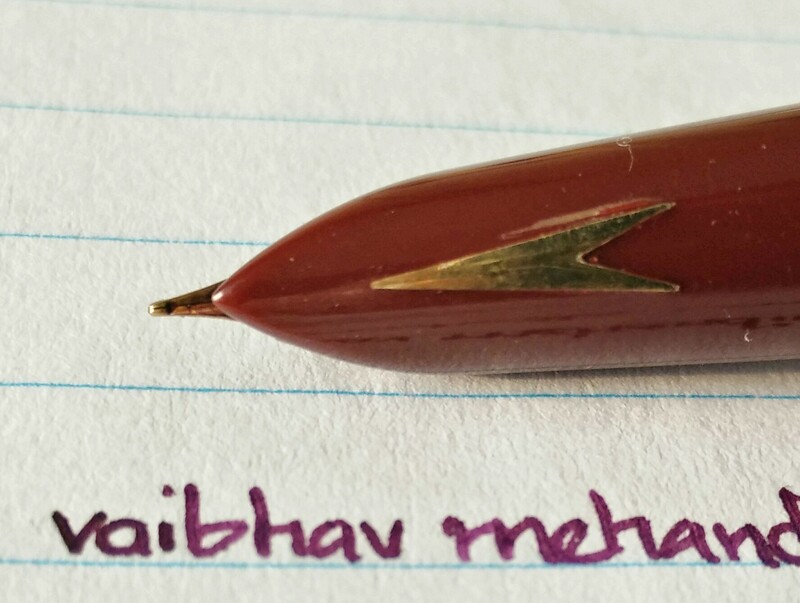 Can you please tell me where to procure this pen from in Delhi. 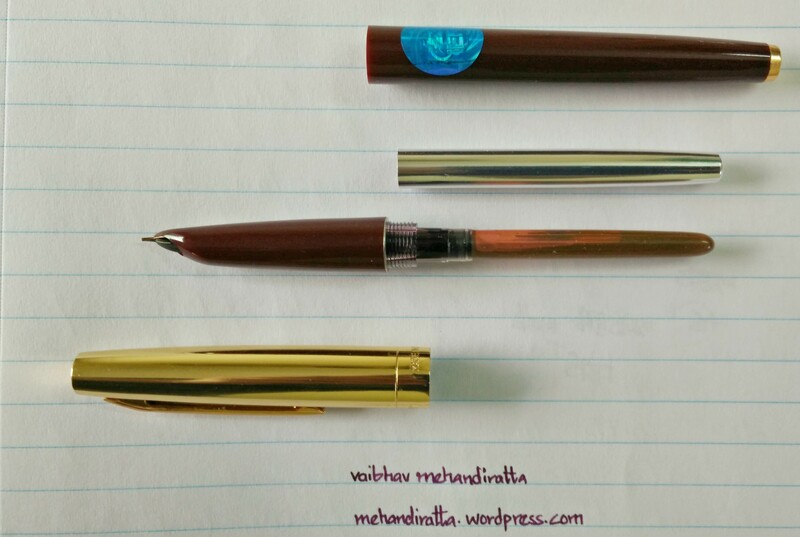 It was available at every other stationery shop in Chennai but not here. 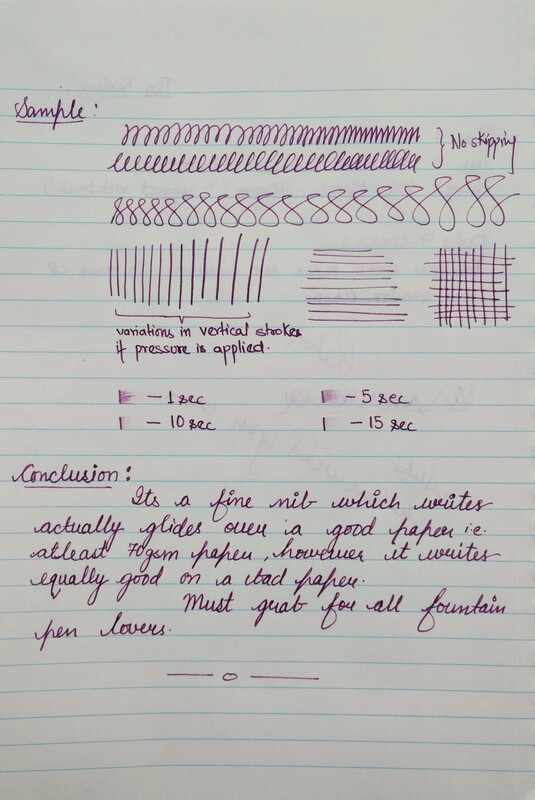 This is an excellent review of one of my favorite inexpensive Chinese pens. I had no idea they came in navy blue!